A Simple Guide To A Better Work Environment! 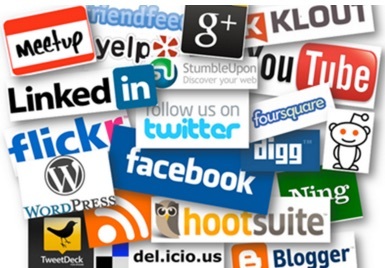 Time and time again we’ve spoken about how important social media is to a business. And, believe it or not, it can make your business a much happier place to work. You can turn to social media as a means for employees to communicate with one another. As we all know, communication is key in the workplace. Create groups on Facebook or LinkedIn, for employees of your business only. It gets everyone together in a social group and they can chat about things together. You’re throwing back to the early days of social media here. Back when it was all about talking to people, connecting with one another. Your employees can interact and their bonds will strengthen. It’s a simple way for people to communicate when they’re not in the office. Some companies take things a step further than this and create a social network. Creating an in-house social network means you’re closed off from the outer world. It’s all about your business now. The concept is the same as creating groups on other social networking sites. You’re still encouraging interaction, but you can do it via your own network. This ensures more privacy and can be a bit more exciting for staff too. No one else can access your social network, so it’s like they’re members of an exclusive group. The great idea is to invite new employees to your social media groups before they start work. 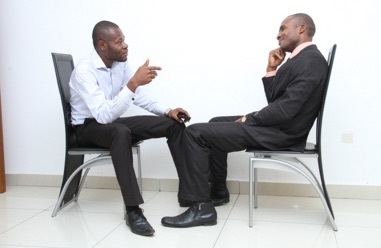 It gives them a chance to get to know people in the office and have a chat before joining. This means they should fit in a lot better, and work is a far happier place for them. When everyone is talking outside of work, using social media, it leads to a better workplace. People feel more comfortable around one another, it’s like you’re working with friends. As a result, your business is a much happier place to work. Another way your business can become happier is to take a step back from the usual working routine. Following the same pattern, over and over again, can lead to stress. When workers are stressed, your office becomes a horrible place to work in. So, sometimes you have to break the mould and do something different to the norm. Take a break from your usual routine and do other things with your employees. The best idea is to set aside days, throughout the year, where you don’t have a day’s work. Instead, you devote the day to team building activities. This is brilliant because it gives everyone a rest from their busy schedule, but can also benefit your business. If you’re doing team building activities, you’re working on improving how everyone works together. A better functioning team can lead to a much more successful business. It’s a much better option than just giving everyone a day off now and then; you’re getting something out of it. These activities can be done in the office or somewhere else. You might find it a good idea to have half a day’s work followed by team building activities in the office. This saves you taking too many full days out of your work schedule. But, if you do want to have a full day off, I’d recommend you make things interesting. Think about leaving the office and doing some team bonding elsewhere. There are plenty of fun activities that are great to get your team closer together, and feeling happier. Things like paintball or white water rafting are fun activities that get people working as a team. Doing things like this will strengthen the bond between you and all your employees. As a result, your office will start to have a much better working environment. The simplest way to make your workplace happier is to care for your employees. Show them that you care for them, and they’ll feel a lot happier. It’s such a simple concept to follow. Think about it, you feel much happier when you know that there’s someone that cares about you. Whereas, when you don’t feel appreciated, or cared for, it can get you down. As the manager, it’s your job to care for your staff and show them that you do. One of the best ways to care for your employees is to offer them support and assistance. There are employee assistance and support programmes that can help you do this. If you provide these programmes to your staff, it shows that you care. It shows you’re willing to pay to get them help and support if they’re feeling down or stressed out. Then, these assistance programmes can help them get back to their best, and feeling happier again. As well as offering support programmes, you can also offer private support. If you feel like someone is unhappy, call them into your office and talk about it. Again, this shows that you care about your staff. People will see you take the time out to help out employees in need and they’ll like you for it. It will make them happier because they know that if they’re ever stressed out, they can come to you. The simple fact of the matter is that a workplace is better when the boss cares for their employees. If they don’t, the whole office becomes a dark and gloomy place to work. No one will smile and it will create a horrible atmosphere. When this happens, your business as a whole can suffer. Happy employees are crucial if you want to have a positive work environment in the office. After reading this, you can now see how to make your business a more enjoyable place to work. Take advantage of social media and use it to get people communicating and interacting more. This leads to a much more social business. 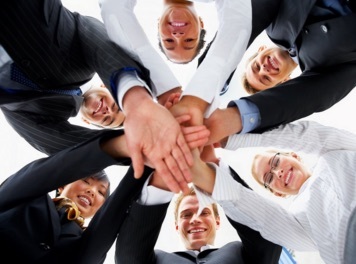 Use team building activities to bring everyone closer and strengthen their bond. And of course, care for your staff and it will put a smile on their faces.